Shaping the next In the spring of 2019, I attended the interactive festival SXSW in Austin, Texas. It was my third visit and I was happy to be reminded of a lot of relevant questions for our technological future, presented by a variety of leading experts, politicians, futurists, designers and authors. Every presentation I saw, every talk I heard, and every book people referred to had an overarching theme. Of course, there was a lot about the coming age of machine learning, artificial intelligence and data security. But above all else, weaved into almost every conversation, whether it was about new forms of workspaces and education, IoT or blockchain, was one word: Empathy. Empathy – or the lack of it. If more empathy is indeed part of what we need to address our challenges – and I believe it is – designers have a key role in bringing it into play. fluffy as how something feels is actually recognised as a value. For designers, empathy is nothing new. Empathy is a skill (not a trait) that designers use, train, refine, steer by. But as I have spent most of my career studying and working with design, I notice a shift in my own world as well – a new focus on and recognition of empathy as a vital value. If more empathy is indeed part of what we need to address our challenges – and I believe it is – designers have a key role in bringing it into play. I believe that the large tech-corporations, governments and organisations that are capable of taking users and customers seriously as humans, will ultimately be the ones who will define our shared future – and thereby the next society. This year, the Danish Design Centre turns 40, and so it is timely to turn our sights to what is in store for the longer term. I hope by reading the following pages you will learn more about how we and our partners see the potential of design for creating a better present and for shaping the next 40 years. Enjoy! ate tangible results for an uncertain future. Design creates coherence through a people-centered approach, resulting in social, democratic and accessible solutions. Although these would traditionally be considered “soft” values, they are a powerful means to achieving “hard” goals – growth, job creation and innovation. What does it mean when we say that something is "Danish design"? What common features characterise the thousands and thousands of different ideas that are conceptualised, designed by and produced with the help of Danish designers? In 2016/2017 the Danish Design Council together with Danish Design Centre, The Royal Danish Academy of Fine Arts Schools of Architecture, Design and Conservation and Design Museum Denmark, conducted a survey of Danish design in order to identify its exact characteristics - its DNA, so to speak. The questions were many: What is associated with Danish design in Denmark and internationally? Are there internal factors that influence the development of Danish design, and if so, what are these? How do current external factors, such as globalisation, and trends like technology, sustainability, and new types of design influence the development of Danish design today? Can the Danish design DNA be expressed even more clearly by offering other methodologies, processes and systems to address the dominant and grand societal challenges today and in the future? The majority of Danish design solutions reflect some of these values, some even reflect all. The values will apply differently to design in the form of furniture and design as industrial solutions or public service. However, both furniture and eg. public services have shared value features, which supports the idea of the ​​ special Danish design DNA - across products and services, across industries and across public and private. design that shape our world.” Historically, design has in fact helped shape our entire welfare society; from our furniture and lifestyle to our liveable cities and urban spaces. Why is the Danish Design DNA essential? The aim of the exploration was to rediscover Denmark's unique design DNA, solidifying design as a competitive asset for Danish businesses and as a tool for addressing some of the world's greatest challenges. Design is the glue that binds everything else together and makes a product, service or system – digital or analogue - desirable. And the Danish design DNA binds everything together in a way that is unique to Danish creativity. The concept of "Danish design" needs to be updated in a way that substantiates the added value, companies that work strategically with design experience in new markets as well as in new products and services and better user interface. To apply design, we need to define it. In recent decades, design for service and strategy development of companies and organizations has flourished, offering a fresh approach to creating value and not just valuation. Defining Danish design Danish Design DNA is a project initiated by the Danish Design Council and carried out in coope­ration between KADK, Design Museum Denmark, Design denmark and the Danish Design Centre. The aim was to map the characteristics of Danish design. The analysis led to 10 values ​​that make up the genetic code of Danish design. Kasper Salto The Nordic Design Resource study found that more than two thirds of Nordic design professionals have formal training, while the rest have come to the field via a different path. You completed both a formal education programme and an apprenticeship. What would you say played the biggest role in bringing you to where you are today? Formal training and crafts training are equally important, and to me, it’s not an either-or issue. My apprenticeship was crucial for me, in the sense that my formal training gave me design skills but not professional craft skills. For a new designer, product design is not only about giving form to an idea – you also have to prove that it works in practice. That the chair is comfortable, or that the mobile phone feels right in your hand. Through my design training I acquired the design method and learned to ask the right questions, rather than going for the first idea that comes up. During my apprenticeship I learned a craft and developed a basic understanding of material properties. I set out working with wood but through that, I also learned what other materials have to offer. My master, Jørgen Wulff, said, ‘I don’t really care how you prepare for your apprenticeship, as long as you have worked hands-on with wood.’ You work within a classic design discipline, as do almost 60% of the design professionals in the Nordic countries. Just over 40% of design professionals engage with newer fields, such as digital design, strategic design and service and experience design. These fields are likely to take on growing importance in the coming years. What sort of changes do you see in the role of the designer? I think it’s great that the designer’s role is changing. For example, design is sorely needed in digital solutions for the public sector, because the development has been so rapid. I think we’re all familiar with the profoundly frustrating experience of dealing with a digital solution that does not seem simple and straightforward, especially when it doesn’t work. The new fields are also affecting the classic fields. As a furniture designer, for example, I also need to deal with service design and nudging. For example, if I’m designing chairs for an airport. How do people move – what is the people flow, where do people prefer to sit? All these factors have a major impact on the system design in a furniture series. Do you use digital tools in your own work? I give a lot of thought to how we can use the digital platforms. For example, I think that crowdfunding could help drive many relevant developments. As designers, we are pretty good at seeing what the world needs, and we no longer have to wait for a company to tell us what that is. Take the Guest chair (for Montana Furniture, ed.) by Salto&Sigsgaard. The chair can be stored in a bookcase when it’s not in use, taking up no more room than a ring binder, and be pulled out when you need an extra seat. We’re delighted that Montana wanted to put it into production, but it could also have made a good crowdfunding project. Small in delivery and big in use. marketing. The new digital platforms do away with the image of the young designer who’s struggling to win favour with the established companies, because suddenly everyone has direct access to the global market. Which is great. What would you say are three basic competences that a designer needs in the year 2019? First of all, a good grasp of material properties. I began with wood, but as mentioned, you can begin with any material as a way of developing a better grasp of the physical world. Next, technique. The simple practice of putting things together. Or, rather, the meeting of materials, which is the core characteristic of a good designer. And finally, design method. You learn that in design schools. Here we learn to ask the right questions rather than always providing the answers. I hone these competences on a daily basis, and my design partner (Thomas Sigsgaard, ed.) and I are able to refine our design tools on a daily basis. We have arrived at a very short sentence: design is about taking something and making it better. While art is about a more personal approach, an attitude towards one’s surroundings and society, design is much more concrete. If it isn’t functional and relevant in a usage context, you can’t call it design. Nikoline Høgh How do you see the role of the designer in 2019? UX (User Experience, ed.) is about equal parts humanism and practice. The finest role a software designer can have is to make technology adapt to people, rather than the other way around. We have all encountered software programs that don’t align with our intuition, and we constantly encounter obstacles we have to adapt to. The software I work on in connection with films and games is something people use every single day, so it has to be accommodating. You have to take a step back to humanism, to the human user: what is it we want? And that is a key quality of Scandinavian design. You speak about putting the user centre stage, and that is indeed a core element in design thinking. In specific terms, how do you do that in a process where you also need to consider hardware and other demands? Obviously, there are many different demands to be balanced. But we also have user involvement on many different levels before, during and after the development process. I have a bridge-building function and serve as the direct link between the engineer and the users. I am to involve people in defining their own experience and to shape these processes in a good way. What would you say are three basic competences that a designer needs in the year 2019? To me, innovation is when technology goes hand in hand with design. Sometimes technology makes great leaps. When that happens, the role of design is to determine what sort of purpose to add. Wii is a good example. Nintendo had the technology to allow us to stand in front of a computer, using a controller by moving our bodies. The innovation occurred when Nintendo came up with the social element that allowed us to play together. That redefined the purpose of the product. Technical competences. You need fairly good technical skills in at least one specific area. Young designers need depth, because you can almost always develop a broader scope. My student job pointed me in the direction I wanted to go. The school was very helpful in that regard, but real-life work experience is really important to help you discover your field. It gives you an understanding of earnings, of business and of working with others. You discover what it takes to realise your visions. Next, humanism. That refers to what I said earlier about putting people first. Finally, curiosity. My field is new in many ways, and it’s constantly developing. You have to experience change as a positive feature. How do you see the difference between your profession and the classic design disciplines? The traditional disciplines have more clearly defined boundaries. The new design areas are challenging because we’re building the plane as we’re flying it. It’s up to us to define methods and approaches. And we have to be self-managing, because design is such a new organisational addition to the digital field. That is why we have to make sure to be heard and included in the processes at a sufficiently early stage. We need to ensure that design is perceived as something that is not only visual but is an integrated part of how the product works. Every year, Danish Design Award highlights the impact and value of design, celebrates companies and designers across the country and showcases the difference their solutions make for businesses, everyday life and society at large. Danish Design Award is a joint creation of the Danish Design Centre and the alliance of design professionals, Design denmark. The award categories range from design that has created jobs or cut costs over health solutions and resource sharing to visionary concepts demonstrating the wide range and diversity of the capability of design to bring added value. Here, you can see some of the award-winning solutions through the years. 1967 Cylinda Line pitcher set Designer: Arne Jacobsen Company: Stelton Architect Arne Jacobsen is without doubt one of the champions of the quality concepts that have made Danish design an established international standard. For over 40 years this untiring man has designed houses, textiles and tools for many different clients. A/S Stelton is one of them, and the Cylinda Line is a typical illustration of Arne Jacobsen's approach to industrial design. Concise form, excellent finish and a well-planned programme are obvious characteristics. 1973 VELUX window Designer & company: Team VELUX & Kann Rasmussen Industri The Velux window, designed for sloping roofs, has a convincing way of performing a number of technical functions. The neutral appearance of the Velux window makes it suitable for many types of buildings where daylight is desired in rooms with sloping ceilings. Novolet was launched in the summer of 1989 as an alternative to the syringe for diabetics. Patients have said that the pen allows them to control their disease rather than the other way around. NovoPen is constructed to give a click for every unit of insulin which is convenient for users with poor eyesight. The pen is manufactured in brass and has been nickelplated to give it a good grip. Kompan playground equipment Designer: Tom Lindhardt Company: Kompan Kompan spring-loaded playground equipment is both sensible and fun. Sensible on account of their construction and educational principle. Fun because it affords children obvious physical pleasure. In addition, its general and detailed design reflects careful consideration for durability and safety. The award is an appreciation of both the technical and artistic contribution, which occurs in a field frequently neglected by both planners and suppliers. 1991 Signage programme for Copenhagen Airports Designer: Designlab/Per Mollerup Company: KĂ¸benhavns Lufthavne The signage programme for Copenhagen Airports focuses on the user: Getting through an airport doesnâ&#x20AC;&#x2122;t allow any time for misunderstandings, and travelers are usually required to manage on their own in an environment full of stress and rush. The signage is characterised by a Nordic nononsense sensibility. The typography is fresh and clear, and equally clear in Danish and English. In short, a public design assignment that does not aim to be different, but to be better. 1995 The Trinidad Chair Designer: Nanna Ditzel Company: Fredericia Stolefabrik Over the years, excellent chairs have been developed for all sorts of assemblies. In cooperation with Nanna Ditzel, Fredericia Stolefabrik has produced a stackable chair of excellent quality. It is absolutely marvellous to sit in – the construction is convincing. Because of the cutting of the seat and back, it is almost as comfortable as a basket chair. In its production technique, the chair is a true industrial product that equates design and quality. 2001 Danske Bank Designer: Bo Linnemann, Kim Meyer Andersen, Peter Brix & Morten Sørensen Company: Dansk Bank Danske Bank was awarded the Danish Design Prize 2001 for a very well-functioning design programme that is simple, flexible and extensively worked out down to the smallest detail. It appears complete and consistent at every level, from the logo over guidelines for printed materials to the implementation in the highly functional and practical digital design manual, which the jury wishes to highlight especially. 2003 The ICE chair Designer: Kasper Salto Company: Fritz Hansen A/S The chair ICE from Fritz Hansen is an elegant and stylish chair, and its very high quality of industrial material processing provides a product quality that makes it applicable in many different contexts. 2007 Lightyears Company: Lightyears A/S Lightyears A/S made design a key parameter, and with a series of specially designed lamps the company has become an international success in less than two years. Lightyears received the Designmatters Award 2007 for securing a strong market position with a very successful product. With a quality-conscious and competent line of lamps created in collaboration with some of the best Danish designers and design firms, Lightyears has managed to set the agenda not just in Denmark, but also in the international market. 2010 Clouds Designer: Ronan & Erwan Bouroullec Company: Kvadrat A/S With Clouds, Kvadrat and the design duo Ronan & Erwan Bouroullec have engaged in an experimental and innovative process to incorporate production techniques that are normally used in other contexts, and that has led to a surprising and unconventional use of textiles. Clouds is a system of two-dimensional ‘patches’ that combine to create spatial formations in any size, depending on the user’s needs and imagination. 2016 Sensura Mio Designer: Coloplast Design Team Company: Coloplast A/S The Mio ostomy product range is designed to provide a healthy feel and a sense of dignity. The colour is neutral for any ethnicity and skin colour. The material is a silk-like woven textile. It includes mobility-enhancing features such as an effective filter that neutralizes smell and an elastic and secure adhesive that follows the body’s movements. Coloplast’s innovative ostomy bag makes life simpler for millions of people. The Bicycle Snake Designer: DISSING+WEITLING architecture Company: Københavns Kommune From day one, Copenhageners loved the gently curving cycle bridge with the impressive view. The elegant and empathic solution lets cyclists cross the harbour in a safe and dignified manner, underlining the city’s profile as a sustainable metropolis with a pedal-powered profile. A visionary example of architecture that builds connections and does the entire city proud. The Bicycle Snake Winner of Danish Design Award 2018 Design: DISSING+WEITLING architecture Company: Københavns Kommune From day one, Copenhageners loved the gently curving cycle bridge with the impressive view. The elegant and empathic solution lets cyclists cross the harbour in a safe and dignified manner, underlining the city’s profile as a sustainable metropolis with a pedal-powered profile. A visionary example of architecture that builds connections and does the entire city proud. "A design icon is defined by two things: On the one hand, it is a reflection of its time and the needs of that time. On the other hand, it’s timeless," says Anne Louise Sommer, Director of Design Museum Denmark. We asked five contemporary designers to name an icon that has inspired their work. PP501/PP503 Wegner "Wegner’s exquisitely beautiful chair, the PP501/PP503, epitomises Danish furniture tradition and craftsmanship. The form feels complete; instinctively incredibly pleasing to the eye and the senses - gentle and inviting. That Wegner himself named it ‘The round chair’, and that it came to be known all over the world as ‘the most beautiful chair in the world’ just goes to show this. With its modest, defined, yet generous and elegant expression, it is a cultured, illuminated gesture that excludes no one, and stands as clear and relevant today, as when Kennedy and Nixon lifted it to international fame in 1960." “The Little Sun,” which has now become an important social enterprise for solar energy. The high-tech character of some industrial design has it limits, and the pendulum keeps swinging back to a closer relationship with nature and the touch of the designer’s or maker’s hand. Danish design encapsulates this moment. Danish design has always played an important role, culturally and politically. model for certain types of mental health treatments. The concept of craft has also evolved. Craft used to have a negative connotation, but this has changed in the last decade, and there is a greater appreciation of it with many initiatives taking place that are helping reinvigorate various craft traditions. It has also become closer aligned with design. In Danish design the importance of craft has always been there, but we are now looking at it in a new context that is more welcoming to tradition, which has resulted in craft being more relevant than ever before. We know how to put the individual first without losing sight of the bigger picture. opment as a design task with room for soft qualities as well a firm grasp of the hard, objective requirements a good city needs to meet. came to the United States in 2011, arriving as a team of four, packing big dreams for the future. But what is BIG’s recipe for its worldwide acclaim? ment process encourages collaborative solutions. A key point here is that this is not just about public debates and wordy memos. Involving designers in the urban development process means creating physical representations as we move from abstract ideas to potential solutions and thus a far more experimental approach to urban development. For Danish cities to retain their world-class status, designers need to be involved along with the architects as key contributors to future urban development. The Nordic capacity for co-designing with the users and translating their needs into innovative urban solutions has already attracted attention internationally. Now, we need to get even better at activating this capacity, also in developing future cities in Denmark from the best cities to the most outstanding cities. From Waste to Biomaterial: Developing mycelium and waste-based materials for the building industry Imagine a world where buildings no longer leave a massive impact on Earth’s planetary boundaries. Where building materials grow from organic waste and fungi spores. “From Waste to Biomaterial” focuses on enabling this future through the development of new waste to biomaterial recipes, compliance testing, optimized production methods, full-scale product and building samples, business model design for biomaterial manufacturers and a knowledge-sharing platform. ReSkur: The next generation's shed is built from the construction waste of previous generations Millions of tons of high-quality building materials, such as clay pantiles and wood rafters, are today wasted every year in Denmark. With ReSkur we create a demand for the reuse of those materials and with a new product as a service introduce a circular business model that could potentially revolutionise the building industry. GENTRÆ: Circular Alternative – Introducing reused building materials in large-scale retail sale Every year an estimated 50,000 tons of timber used for temporary construction measures at building sites is incinerated after a mere six months of use. GENTRÆ will disrupt the current linear process by developing a concept with a strong setup, simple strategy and a cost-effective focus that will bring the timber into a circular loop – making reused timber available in large-scale retail sale. In 2018 Danish Design Centre moved into the newly opened BLOX building – a co-working space and knowledge hub for design, architecture, city planning and innovation. To create the new workspace, Danish Design Centre chose Spacon & X, short for Spatial Conversion & Cross-functionalism – a Copenhagen-based design and architecture studio. The goal was to find a simple way of reusing the Centre’s existing furniture, explore more sustainable solutions, and to create a new, flexible structure to accommodate the changing needs of the office, including workshops, talks, mini-exhibitions or regular operations. Echo Jazz An acoustically absorbing felt material made from old plastic bottles. For every square meter of this material, between 47 and 72 used plastic bottles from landfills and The Pacific Ocean have been upcycled. Frame structure The frame structure of the shelving system ties the space together. It is a custom construction system consisting of five different lengths of ash wood sticks with a hole configuration that allows easy assembly in unlimited combinations without the use of tools, just by turning wing nuts. This flexibility is built into the system to meet changing office behaviour over time. Smile Plastics In an attempt to enhance awareness of sustainability and recycling, and change peopleâ&#x20AC;&#x2122;s perception of waste, Smile Plastics developed this sheet material, used for shelving and table tops. The shelves used in the frame structures are made from recycled waste plastic ground into chips which are then melted into sheets, perfect for CNC milling or laser cutting. The cut-offs can then be reintroduced into new sheet materials in an infinite cycle. Open source â&#x20AC;&#x201C; Open Desk In collaboration with the global opensource agency Open Desk, Spacon and X designed a series of mobile office elements, ideal for open plan solutions like the Danish Design Centre at BLOX. The series is fully open-sourceable and will be available on Open Deskâ&#x20AC;&#x2122;s online platform. What are the next business models? What are the responsibilities of companies in the future, and what challenges will they face? gist’s empathetic and experimental approach to gaining these insights and test new solutions is a valuable tool in the process. Ideally, he or she will move beyond the product/solution-customer relation towards a systemic perspective: How the product or solution affects society as a whole throughout its lifespan. cess can help business leaders navigate in a landscape, where you don’t know what you don’t know. Design is a vital tool for framing an agile business strategy in the face of uncertainty. SolarSack Three billion people in the world currently donâ&#x20AC;&#x2122;t have access to drinking water. SolarSack is a household water container that provides safe water using only the sun. SolarSack can clean four liters of water in four hours and one Solarsack can provide clean drinking water for two people for a year. Modu Building blocks that help kids stay active and healthy through play. MODU is designed to trigger the physical activity and imagination of kids, while encouraging and supporting every stage of their development. Trebo Trebo is a new technology that allows the plastic industry to reduce its carbon footprint by enabling access to sorted recyclable materials. The award-winning technology is able to separate mixtures of different plastic types with a separation quality of +98%. GRIM By 2030 the world needs 50% more food, but today one third of all food is wasted. GRIM aims to reduce food waste by delivering boxes of ugly and surplus fruit and vegetables straight to your door, all organic and biodynamic. Matter Matter provides a sustainable alternative to a normal pension plan. Matter avoids investments in fossil fuels, weapons and tobacco, while more money is invested in companies working towards a sustainable future. In 2016 and 2018, the Danish Design Centre and the Confederation of Danish Industry (DI) mapped the use of design in Danish companies in the survey â&#x20AC;&#x153;Design Deliversâ&#x20AC;?. The survey shows that a wide range of different companies use design, and that it generates value across many different business areas. A total of 802 companies have participated in the survey. Note: The figures apply to the companies that use design (except for the 54% stating that they systematically use design). Many Danish companies work systematically with design as a key component in their business development and strategy. These companies generally have a strong position in Denmark and abroad, and they are the ones that reap the greatest benefits from working with design. 64% expect design to become a more important competitive parameter over the next five years. of Danish companies state that they make systematic use of design. find that design enhances their brand. find that design improves their competitiveness. find that design has taken on growing importance for their bottom line during the past five years. 77% state that design decisions are made by management. find that design improves customer satisfaction. are much more directly entwined leaving us not to develop as rivals, but rather a team of one? The stars are clearly no longer the dominant mystical force that we trust to shape our destinies, but we have found another almost other-worldly deity to worship: Technology. future Confront the deep uncertainty for the future of healthcare in four scenarios You wake from a deep sleep to find yourself in a small, cylindrical room. You’re lying on a bed, surrounded by pink pillows as soft as marshmallows. The room smells of freshly cut flowers. The lighting is soft and you catch sight of yourself in the mirrored ceiling. Then you hear a young woman’s voice. It’s pleasant-sounding, reassuring even. She tells you it’s 2050, and she is being treated at the recently launched Ministry of Root Causes. Its purpose is to eliminate risk factors for illness, promote healthy living, and prevent us all from getting sick. Once you’ve been screened, you can look forward to a lifetime of excellent health. But what will you have to give up in order to secure your good health? As outlandish as it sounds, this scenario was one of four “alternative future” experiences enjoyed by participants at “Boxing Future Health” – a workshop held in Copenhagen in 2016 by the Danish Design Centre. Boxing Future Health takes the form of four cylinders which you can enter to feel, smell, and listen to alternative futures for healthcare anno 2050. The four scenarios, which have been developed with Public Futures and Fokstrot in collaboration with 100 experts from the field of healthcare, make the future present and tangible. This might sound abstract. And it is. But that is exactly the purpose of Boxing Future Health, says Programme Director at Danish Design Centre, Sara Gry Striegler: “The laboratory gives us the chance to think radically differently about the healthcare service of 2050. There is a tendency towards healthcare politics being a question of giving new billions to cancer treatments rather than of how we create services and solutions leading to illness being a secondary element of life. And this makes it difficult to initiate the more profound discussions.” Facilitated by the Danish Design Centre, the workshop has since its birth in 2016 drawn participants from a range of fields, including government, academia, and healthcare. Along with medical-device manufacturers, there have been representatives of medical schools and nur-sing schools. As part of the workshop, the design firm converted four rooms into the experiential spaces that the participants could explore. Each space depicting a hypothetical future scenario – such as a patient’s room at the Ministry of Root Causes. This gives us a chance to do something even more important than predicting the future; to create it. The point is to facilitate long-term thinking about healthcare. Several questions are on the table. How will we train the doctors and nurses of tomorrow? What products and services will hospitals need? What is the future of nursing and healthcare if people are increasingly going to be treated at home? How might AI and precision drugs change how we treat patients? What will “healthcare” mean in 2050? In other words, their aim is to explore how we might prepare doctors and nurses for a future in which the only certainty is that the skills they possess today won’t necessarily be the ones they need tomorrow. The Boxing Future Health workshop typifies designers’ way of grasping and coping with an unforeseeable, complex future. First, it’s an example of how designers can devise a set of approaches that stimulate the imagination and expand the range of decision-making options available to us. Second, it encapsulates the kind of long-term thinking that matters more than ever today. Learn about the four scenarios on the following page. diseases receive quality care. But the National Health Council prioritizes sharply, and Denmark is not at the forefront of new treatments and health technology. healthcare system attempts to keep up and benefits from the new opportunities as well, but its basic function is to be a public provider. health is built into all policy areas and is an important driver for overall social progress. “Make life fit” is the slogan of the moment. an all-encompassing new paradigm, but rather a buzzing bazaar of different, competing approaches. Randi Brinckmann We risk a backlash, if the concept of design is watered down by a lack of professionalism. As you mention, this means new demands to interdisciplinary approaches and self-management. What is the most vital change, designers need to go through to adapt to this new paradigm? Designers need to reflect on the difference they make. Their self-image often revolves around establishing an independent studio. The fact is that most independent art-based designers are among the lowest earners, while designers who are employed or work in teams earn more. We need to include organisational understanding and an understanding of the processes in our educational programmes. Just over half of Danish designers have a leadership role. That is positive. They need to dare to embrace that role and lead the way in the transformation phase that many companies find themselves in. However, they also need to understand the companies’ KPIs and their conditions for value creation. Most of the new design graduates have a different sense of humility, they know that the only way they can create something is in cooperation with others. We are deeply dependent on others in this profession. We will be doing them a disfavour if we don’t prepare them to understand what it means to act within an organisation and create value in and for a company. Randi Brinckmann, you are the dean of the Faculty of Health and Technology. Why are healthcare programmes taking an interest in design and innovation competences? When we worked with Boxing Future Health (a scenario-driven workshop by Danish Design Centre, ed.) we realised that it had the potential to offer completely new perspectives. Design approaches can help us look into the future, have more sensory experiences and build a common frame of reference because we have completed this process together. We looked at specific scenarios for different versions of the future and listened to patient stories, and that enabled us to have new discussions. University College Copenhagen recently adopted a new strategy aimed at improving the quality of the programmes. What role did design thinking play in connection with that? The goal of the strategy is to join forces to develop excellent education. In that process we also worked with scenarios, including in relation to technology, innovation and partnerships with clients and students. We are going to develop stronger study and work communities and, thus, stronger students. We want to enrol the right students and place high demands on them, for example in the form of talent processes. We want to work with practice labs, both to experiment with teaching approaches and to simulate the very practice we are training the students for. That makes design thinking an obvious element. In the strategy, among other points, you mention interdisciplinary approaches and collaboration as new criteria. How has design thinking helped promote this in your strategy? Implicitly, in the way we have addressed various trends and thus various future scenarios together. That has helped us to look past the near future that we are so often focused on. It frees up the dialogue to go beyond, "now, University College Copenhagen is going to train teachers for primary and lower secondary school" to "if the pace of innovation continues unabated, what impact will that have on primary and lower secondary school?" signing clothes and the related system in a way that makes fashion circular. Second: technological development, including digitisation, AI etc. It will take a huge effort for the design programmes to catch up. Finally: the future is “co-“. Future solutions are so complex that they can only be developed across disciplines and sectors. Often also across national borders. That sets the bar maddeningly high in terms of cooperation skills and cultural/social insight. The study suggests a growing demand for the newer disciplines of service design and digital design. What is that going to require from the educational programmes? We are well underway with this transition. Rather than designing products, the students learn to design holistic solutions that combine digital and analogue, material and immaterial aspects. It’s worth noting that we still need the traditional basic skills with regard to method, aesthetics and form, even when the design solution is largely digital. For the past four years, digital competences have been a focus across all the study areas at Design School Kolding. Thus, external examiners are required to provide an explicit assessment of the students’ digital competences. We ask the same of our traineeship hosts. We are also developing a digital hub – in cooperation with D2i and the Danish Design Centre – where we teach small and medium-sized enterprises to use design as leverage for the integration of new technology. The students are invited to take part in this effort, including as assistants. In terms of research, we need more knowledge about how we can transform Danish design for the digital era – based on the unique Danish design DNA. Ultimately, it is this DNA that helps set our products and solutions apart from those of our competitors. Hence, it’s regrettable that there is such limited research funding available for the field of design! Are you doing enough to meet that demand today? We are trying, but we welcome input as to how we might do better. Could the Danish Design Centre, for example, bring together the companies that are demanding digital and service design and work with them to define what specific competences they need? Naturally, we want to offer the most relevant education possible. Further, with the intent to mature the students’ ability to communicate the value of design, our new master’s programme includes a course (15 ECTS) where the students do an assignment for a company. This course comes just before the final master’s project, which is also conducted in cooperation with a company. This raises the possibility of a master’s student spending nine months with the same company, thus completing his or her training while learning what it takes to make a difference within a company. There are also new demands for interdisciplinary approaches, cooperation and self-management. Should this be part of the training of designers, or should it be up to the designers themselves to acquire these competences? Twelve per cent of the Danish design resource is unemployed. All these designers have formal training. Does that give you cause to consider the current distribution or focus in your educational programmes? We agree. That’s also why we are contributing to a master’s degree in design management in cooperation with the University of Southern Denmark, SDU. Yes, every single day! Of the past 10 years’ graduates from Design School Kolding, 45 are unemployed. That is 45 too many, but it is worth remembering that the 45 full-time unemployment cases are distributed across a much larger number of individuals. Designers face a labour market with a high share of projects and short-term jobs. For the past four years, Design School Kolding has had three key focus areas in our educational programmes: digital competences (see above), business competences and communication competences. The latter means that our students have to learn to communicate the value of design and their own skills and capabilities. According to our external examiners, we have been quite successful in this endeavour. For example, all our graduates have to produce a film offering a brief and concise presentation of their competences. Danish corporations share their visions for the next 40 Lars Tveen President, Heating Segment, Danfoss District heating clearly has the potential to play a vital role in the cost-effective decarbonisation of future energy systems. With its inherent flexibility to integrate renewables, I believe that in less than 40 years, we will be able to accommodate a 100% renewable energy supply for all of Europe. The technological know-how, the component manufacturers, and business models are ready and available. Annemarie Meisling Director of Sustainability, Chr. Hansen Bacteria were among the first living organisms on the planet, but we have only just started to understand the potential of good bacteria, in terms of reducing overuse of antibiotics, reducing food waste and developing a sustainable agriculture. In 40 years, the picture will be very different. We have significantly replaced pesticides and antibiotics with good bacteria and we will plan our diet to keep our gut strong, happy and healthy. Enjoy. Jesper Schleimann Digital Transformation Officer, SAP The Digital Transformation holds great potential to transform our world and build a sustainable economy. In 40 years, we will all have meaningful work as AI and the autonomous economy will allow us to unfold our personal potential, eliminate waste in the supply chain and make our enterprises run better - creating a world we all want to live in! Mads Nipper CEO, Grundfos In 40 years, the devastating impacts of climate change have been contained, and there are no more people without safe access to water and sanitation. Companies who pioneer mechanical and digital technologies have played a pivotal role in the change towards the better. And there are no remaining concerns about how the world can cope with population growth and urbanisation. Helle Valentin MD & Global Account Partner, Board Member, IBM Denmark Aps The big challenge will be to make sense of the infinite amounts of data. And, of course, to secure it. We are one of the most trusting societies in the world, but the time for blind trust is over. At IBM, we work specifically with an AI charter to ensure full transparency in the way we handle our clients’ data. Joel Towers Joel Towers is the Executive Dean of Parsons School of Design, widely known as one of the best design schools in the world. Parsons has a close collaboration with Denmark, including exchange programs with Copenhagen Business School, events such as ”Danish Design Review” jointly presenting rising stars of Danish and US Design and annual lectures in collaboration with the Danish Consulate General in the Trusteeship Council Chamber in the UN Headquarters in New York, designed by Finn Juhl. If you were to name three ways in which the concept of design has changed over the past decade, what would they be? The concept of design has emerged as being as much about strategy and systems as about physical objects. Meaning that we’re now using design methods and approaches to solve system-level problems and drive innovation. Secondly, the concept of design has been democratised as a result of changes in media and communication, including social media and mass communication. The notion of usercentered design has changed, now that the user has the option to provide feedback. Finally, the biggest change – and this is of course also one of the most complex issues facing society overall – is climate change and environmental issues. The boundaries of the natural system are defining the characteristic of the work designers will do in the future. We have been used to having the capacity to use creativity and innovation to transform the environment around us. But now, we’ve gotten to a point with industrialization and tech, where we must take into account the impact of being human. How can design help solve the issue of climate change? At first design was about avoiding the impact, now it’s about redesigning the systems. We’re destroying the planet through the current design of our systems for energy, for cities, for houses. We’re externalizing the waste stream, so turning towards a more circular model is crucial. We haven’t been taking the restraints of the environment into account, but people are beginning to demand this work. Nobody wants to buy things that make the future impossible. What does this mean for the future generation of designers? They will have a knowledge gap. We need the training and education of designers that can equip them with the right tool sets to meet these challenges. At the same time, the regulatory systems are still very immature in accounting for the system change, and there is still an economic disincentive to move away from the existing systems. We can’t address this nationally by ourselves, because the impact of systems of design is global. In much of the world, the ethics of a product now takes into account human wellbeing. The impact of systems not been seen as an ethical challenge yet. In that sense, the evolution of natural rights is still in its very early stages. What can designers as changemakers do right now? Designers are really fantastic at taking on constraint. I think all designers have an obligation to evaluate their work, both the things they make, and the systems they design. By standards that account for the way that they produce it. They need to educate themselves about natural resource depletion and risk – and hold themselves to that standard. Because we are facing global challenge. The basic framework of innovation requires mixing perspectives, cultures and solution approaches. That comes from the paradigm in which you grow up. We need to create a context – a microcosm - for solutions that can come from anywhere and everywhere. In the case of Denmark, Danish design influences our disciplinary perspective. Denmark’s commitment in product design and fashion design, where you are addressing zero-waste, reusability, local production, material selection. For example the green fashion summit this year. And what was your motivation for establishing a long-term collaboration with Denmark? Denmark is a leader in every one of these areas. You have a long tradition of design excellence, but equally important is that the national design commitment has increasingly been integrated with the environmental mission. There are still challenges and areas of improvement, but on the whole, Denmark represents an approach of examples and possibility which is very motivating. We can have the hope that things can move in a direction with resource awareness, balance etc., but it’s also important to have those examples. 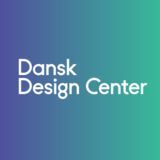 The Danish Design Centre (DDC) is founded with a focus on design as a means of boosting exports and turnover in Danish business and industry. The emphasis is on industrial design, and design is mainly promoted in the form of objects designed for industrial production with function and aesthetics as the key parameters. Danish Modern is the ideal, and the finest products are rewarded with the ID Prize. Based in the domicile of the Confederation of Danish Industry on Town Hall Square, the DDC hosts lectures, exhibitions and promotion events and publishes books, articles and magazines about the use of design in industries. Until 2000, the DDC is headed by Jens Bernsen. 2000 - 2011 In 2000, the DDC moves to its new domicile on H.C. Andersens Boulevard. A radically new view of the concept of design emerges in the early 2000s and challenges the perception of design as the end result, a product achieved in a symbiosis of art and industry. Around the world, and also at the DDC, the emphasis shifts to the process itself, and design thinking becomes a key term. This leads to an expanded concept of design that also includes systems design, service design and co-creation. The DDC now seeks to promote design thinking in business, industry and the public sector. Design as a driver and a source of innovation is the ideal, and the DDC promotes this through courses and models, including 360 degrees, DesignBoost, the DIN model etc. The expanded concept of design is embraced by many companies and is increasingly reflected in the services offered by design agencies. The DDC stages exhibitions in the new domicile and becomes a popular event venue. In 2000-2005, the DDC is headed by Ulla Hovgaard Ramlau and in 2005-2011 by Christian Scherfig. DDC begins to focus more on gathering, analysing and communicating knowledge about the key factors influencing design. This effort takes place in cooperation with designers, partners, sponsors, business and industry and a broad national and international audience. The goal is to preserve Denmark’s role as a leading design nation by facilitating design and innovation and demonstrating the key role of design in societal challenges. As part of this effort, the domicile on H. C. Andersens Boulevard is turned into a creative community for design companies and institutions. The design shop and restaurant close, and the conference services are discontinued. Instead, the shared office ‘Design Society’ is launched, and a new large café area opens on the ground floor. The design organisations INDEX: Design to Improve Life and the Danish Fashion Institute (DAFI) move in. The DDC is headed by Nille Juul-Sørensen. 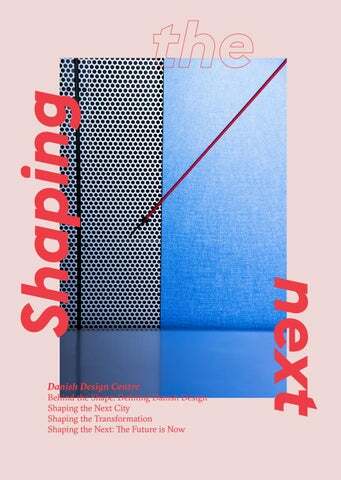 The government’s growth plan for design and the creative professions from 2013 gathers DDC and the other national architecture and design organisations in BLOX, Realdania’s new building complex by the harbour. DDC sells the building on H.C. Andersens Boulevard and no longer has public facilities for café and exhibition activities. Instead, it becomes possible to expand the organisation, bringing in new employees and competencies in design, innovation and technology, renewing the focus on the interactions between companies and designers. Today, the Danish Design Centre works to empower businesses, people and society to shape the next. This means providing them with design experiences, tools and skills that enable them to address their challenges and capture new opportunities. Since November 2014 the Danish Design Centre has been led by Christian Bason.